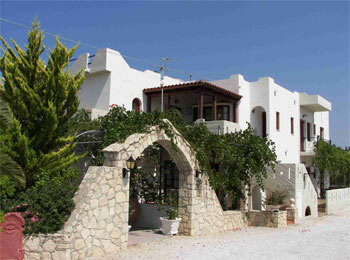 Genos Suites apartments in Stavros is a family hotel complex built on a lush garden, close to the beach of Stavros. 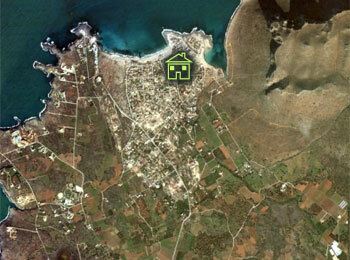 The complex is nicely decorated with comfortable, fully furnished and bright apartments. 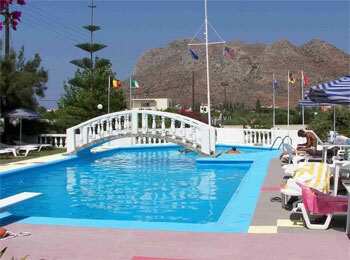 In the hotel area, guests can relax by the pool and enjoy the lovely view. Genos Suites have studios for 2-4 people, with heating, a/c, spacious room, private bathroom, direct phone line, satellite TV, view to the garden, fridge and kitchenette for lunch and breakfast. Comments and reviews from former guests refer to the nice atmosphere, the hospitable personnel and the calmness of the complex. 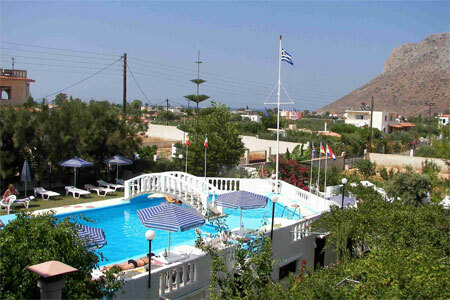 "The owner who came in his car to find us when we were lost and was very kind and helpful to us.He and his wife were delightful"
"Small family hotel in a quiet place. 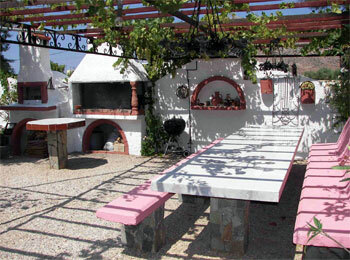 Only 5min (by car) to the beach of Stavros and 15min to the beach of Kalathas"
"Fantastic garden, vines dripping with grapes, good pool, spacious apartment, delightful helpful staff, unspoilt peninsular, peaceful, pleasant laid back atmosphere, tastefully designed building and gardens"
"We stayed for 3 nights and nobody cleaned our room"
"The beds were rather hard. We hadn't hired a car, and this was a mistake"
"A bit hard to find in the dark"